#1 Who is Steven Dux? #9 Why go for Steven Dux over Timothy Sykes? #10 Is Steven Dux recommended? If you have ever watched anything related to Timothy Sykes, then you will have heard of Steven Dux. This is a guy who Sykes really loves to ‘big up’ simply because Steven Dux is one of his biggest success stories. According to Sykes, Dux managed to make millions based upon his advice alone. It is a little bit more convoluted than that. 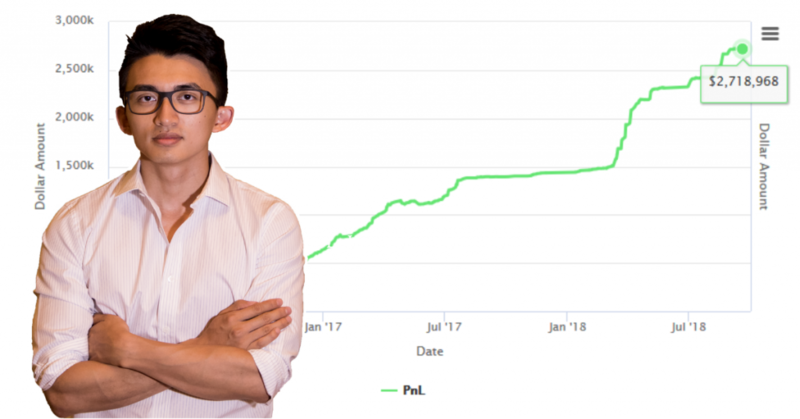 Dux is really using the trading strategies of several successful traders, as well as applying his own unique spin to things and that is how Steven Dux has made money. 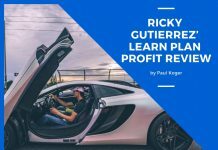 I have no doubt that he has leaned heavily on the advice of Timothy Sykes, because this is something that you find peppered throughout the guide, but there is plenty of advice that Dux offers which you can’t find anywhere else. Just a few years ago, Steven Dux was a nobody trying his hardest to complete his engineering degree (which he managed, I hasten to add). While he was studying, like many students, he started to look into new ways in which he could potentially make some sweet cash. This resulted in him discovering Tim Sykes. He followed his advice for a little bit, before deciding to stump up a whopping $5,000+ on the Millionaire Maker program that Tim Sykes has. In just 14 months, Steven Dux went from having $27,000 to becoming a millionaire. This means that, to date, he is one of the most successful traders that Timothy Sykes has ever produced. Since Steven Dux has proof of his income, he is basically a walking advert for Sykes. Because of his success, and because Dux saw even more opportunity to make some money, he decided to release his own system that he sells, similar in vein to the one offered by Tim Sykes, albeit a whole lot cheaper. It is worth noting that everything about the courses and stock tips offered by Steven Dux will be related to penny stocks. As most of you know, penny stocks are among the most volatile things in the world. It can also be immensely difficult to make any sort of profit from penny stocks. It is very much a case of ‘slow and steady wins the race’. This means that Steven Dux is not going to be for everybody. If you don’t care for the small amount of cash you can make from penny stocks, and the constant flipping that you need to do, then there is no sense in purchasing anything from Steven Dux as you are not going to get any value from it. One of the key components of Dux’s success is the fact that he journal’s his trades. He keeps track of everything that he does, which helps him to adjust his trading. If you know which patterns are making you money and which ones are losing, you can then decide to only trade the profitable patterns. This is what Dux is doing and he says that journaling is one of the key components to his success. Do not buy into the strong momentum that penny stocks get during major news events. Instead, you wait for the hype to die down and then you make your move. Look for stocks that drop quickly in the morning as they are probably going to rebound. Shorting spikes, although this is very much ‘advanced’ knowledge. There is a little bit more to how he works, but this is basically the 101 about what he does. If you want to perform to the level that Dux does, or to perform with penny stocks in general, then you are going to need to make sure that you always have an eye on the market. If you don’t, then penny stocks will never work for you. There is absolutely no value in this course and you are going to be tossing your money into a black hole. It is fine if you have a lot of downtime, but I can’t imagine that there is anybody out there who is able to juggle a day job with trading penny stocks and making a profit at the end of the day. The ‘core’ product for Steven Dux is a DVD that he has put together. It is not a DVD in the strictest sense of the word, though. Oh no. For your $1,300 you are just going to be able to enjoy online streaming access to the content. That is it. It probably wouldn’t have killed Dux to spend a couple of dollars and actually mail something out to you. He is classing it as a DVD, after all. However, I am going to let that slide. I think the ‘million dollar’ question here is whether the DVD actually works. In my opinion, it does. You are going to need to apply the knowledge you actually learn, though. 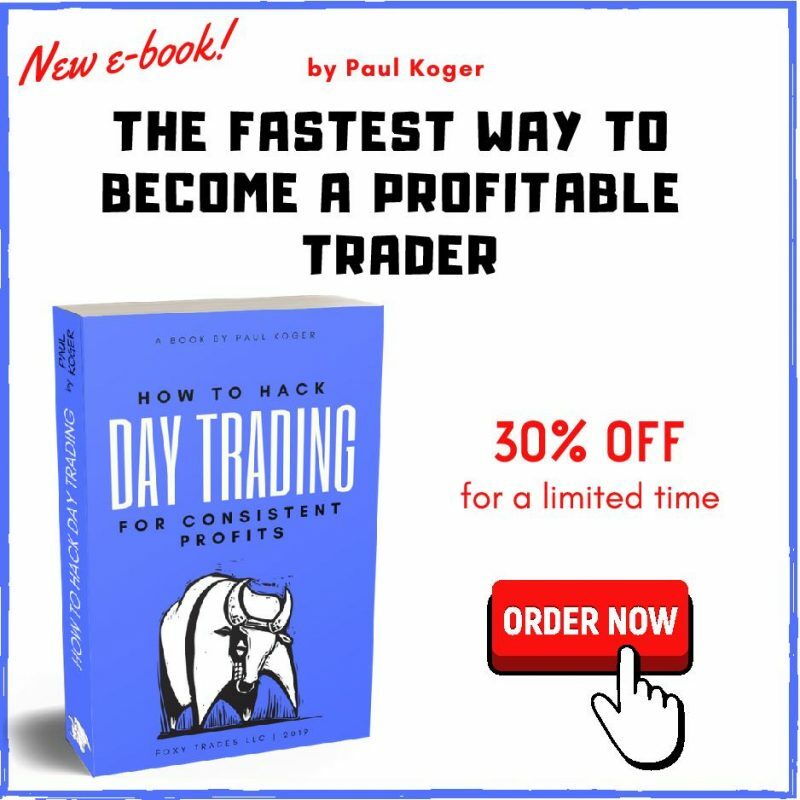 A common problem that I have seen with many, many stock traders is that they purchase these courses, often shifting hundreds of dollars, and they don’t take onboard any of the information. I don’t get why they do this. If you want expert advice, then you should really be listening to the expert advice. I am going to be the first one to admit that a lot of the information that you can find on this DVD can be found ‘free of charge’ online. However, none of it is written anywhere near as well as the way Dux has produced this DVD. He has a natural way with words. 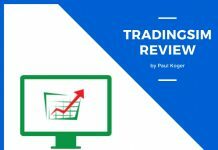 While there is little that I am yet to understand about the basics of penny stock trading (the joys of reviewing all these products), I have shared this DVD with a few people and asked them to watch it, and they have managed to grasp concepts that they would not have been able to gain otherwise. I think that this is a hallmark of a good production. I have no doubt that if you follow the information found in these videos, then you have a pretty strong chance of making back each and every single penny that you invest in it. It is just that good. There are very few products out there that I would rate as highly as the Steven Dux program. It is worth noting that Dux claims that there are only limited copies of his DVD to go around, but let’s be honest, this is a claim that most marketers make. By all means, buy the DVD as soon as you can, but don’t think that it is going to be disappearing any time soon. It really isn’t. This is where the bulk of your time is probably going to be spent once you have exhausted your DVD material (if you decide to buy into it). Tier One: Access to daily stock picks and a chat room. $99 per month. 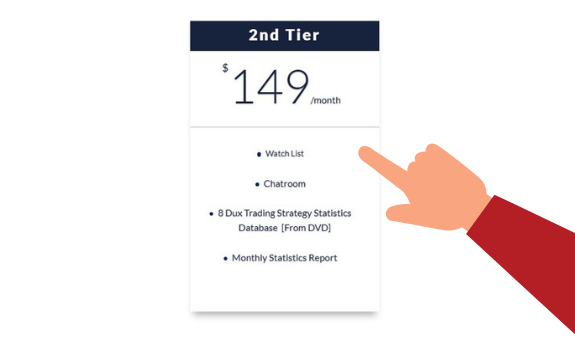 Tier Two: Access to the same as tier one, including the trading strategies from the DVD and monthly statistics. $149 per month. 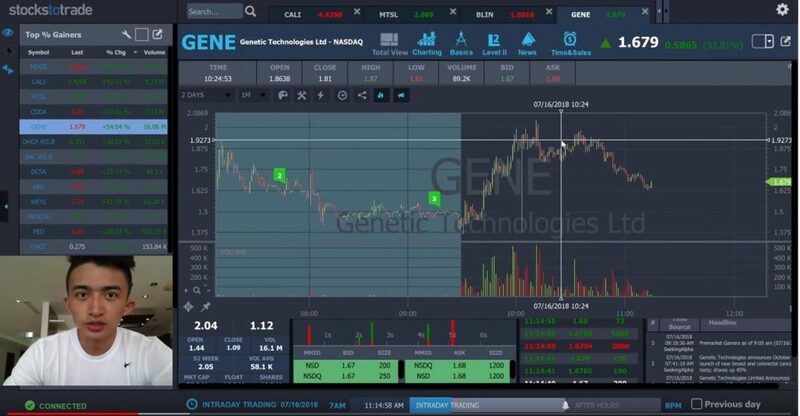 Tier Three: Same as tier two, but also complete access to the trading techniques DVD, a live weekly Q&A session and a live trading session. No price on this one as Steven seemingly decides how much you are going to pay when you fill in a questionnaire and he gets back to you. 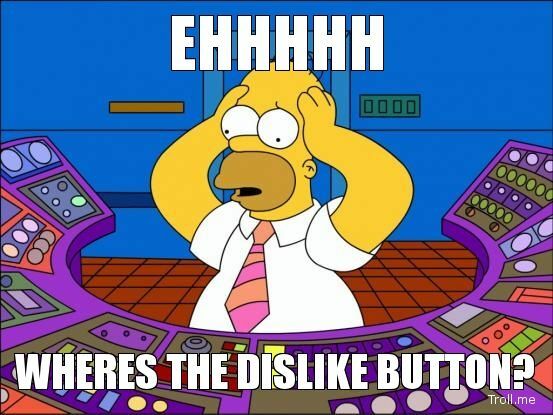 I think the main thing that people are going to get from The Daily Dux will be the daily stock picks. 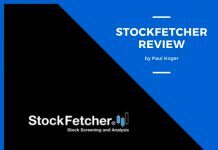 Dux is pretty comprehensive when he goes through why you should be buying certain stocks (see the next section about why you shouldn’t follow them blindly). I have been following this program for a few months, and it seems that Dux is pretty spot-on with the vast majority of stock picks that he makes. Obviously, he is going to get it wrong sometimes. He is a trader. If he could 100% predict the way the stock market is going to go, he probably wouldn’t only be a millionaire. I found the daily picks pretty decent. The chat room that you get included with your membership is going to be decent too. It is not the most active chat room in the world, mostly because it is limited to people who are willing to put their money where their mouth is, but a lot of information can be found there and it may be worth giving it a quick read once or twice a day, just to make a couple of notes for yourself. I can’t imagine that you are going to be relying on much of the advice, though. This is because the bulk of it is going to be shared by beginners like you. 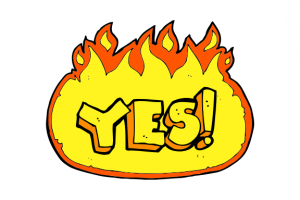 I think if you are going to buy in for the membership, then you should go for tier 2, mostly because for a small amount extra cash each month, you are going to get a ton of more information that you can work with. This means that you stand a much bigger chance of making the money that you spend back. 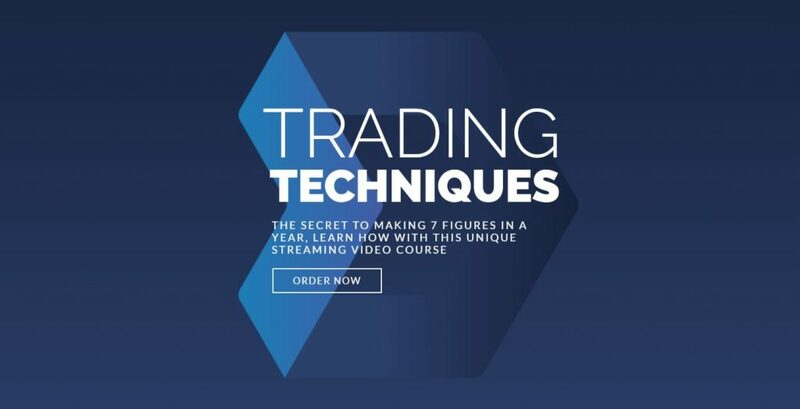 This is the sort of program that is going to be making you so much money you will be able to write it off as a business expense, and you are probably never going to want to cancel it…although, most people end up doing so once they graduate to the ‘big leagues’ of stock trading. As I said; Steven Dux is normally pretty spot on with his stock picks. 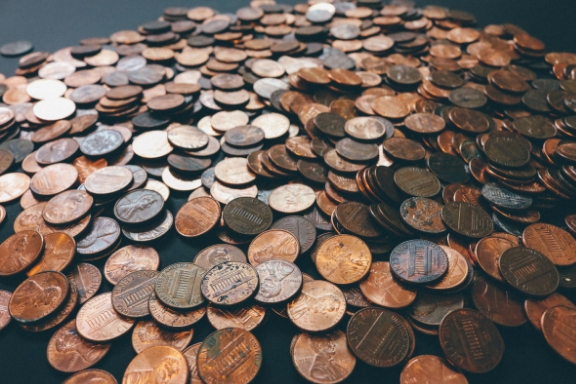 However, what you must remember, and this is an issue for pretty much all penny trading picks, is the fact that penny trading is inherently volatile. There are a lot of people out there who are willing to cling on to every single word that comes out of his mouth. This means that if you do not get in on the ‘ground floor’ of his picks, then the price will have been artificially inflated by everybody buying into the pick. This means that you could end up losing money. In my opinion, you shouldn’t really be following stock picks blindly, no matter who they come from. I like to look at stock picks as a tool in my arsenal. 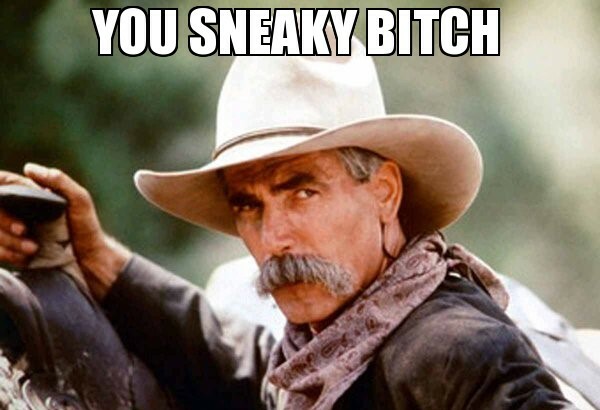 Whenever I get a stock pick, and it doesn’t matter who that information comes from, I am never going to go for it. Instead, I will do my research into how the person came to that decision. I take notes, and then make my own trades in the future using the knowledge I have gained. This means that any picks I end up making myself are never going to be hit by the artificial inflation, and I stand a much better chance of actually making money. If you can approach the stock picks that Steven Dux sends out like this, then you are going to make some money. If you don’t, and you are not taking advantage of his picks within seconds of the message going out, then you are going to be kissing goodbye to your hard-earned cash. 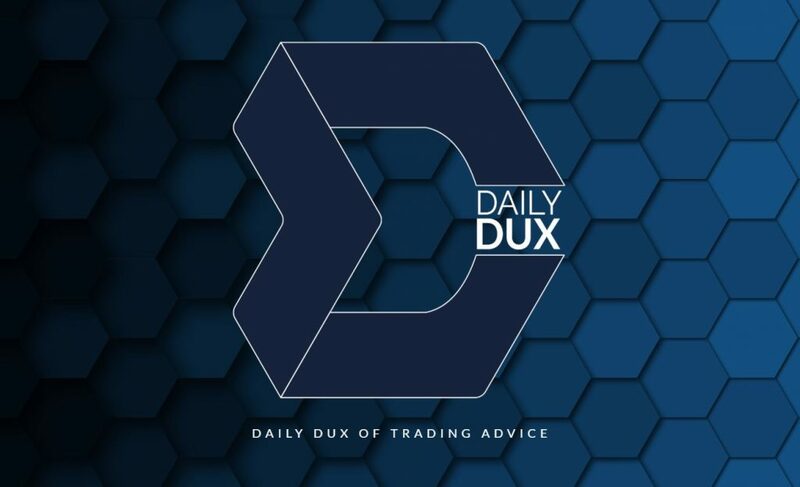 While there is a lot of good information shared on the Steven Dux chatroom, you absolutely must remember that it is still really a chat room which is going to be populated by newcomers to the world of stock trading. This means that you will need to take the information that people are throwing around in the chat room with a grain of salt. If you don’t, then you could end up following some pretty poor advice. Now, don’t get me wrong here, the chat room for Steven Dux is a lot better than some of the others I have seen. I think the higher ‘entry price’ for the chat room really does help to keep out some of the riff raff, which is amazing. It just would be nice if there were a few more experts kicking around in the room so we could get a little bit better information shared among everybody, but I can’t see it being a huge issue. Just have a look for the advice, do your own research, and you should be good to go. The page, as I mentioned before, is still going to be decent for making a few notes here and there. It is the fact that you can’t download the videos. It is incredibly annoying. If you want to watch them, then you need to view them online. This means that if you have no internet connection most of the time, you have a limited internet connection, or your internet is just slow, then you are really tossing your cash at something that you are going to get no value from. I originally thought that Dux was not allowing you to download the videos because he didn’t want them leaked to the world ‘for free’. However, let’s be honest, if somebody wanted to pirate the videos, then they would be able to steal them anyway. The only thing that not allowing the videos to be downloaded is having an impact on is the people who really want to view them legitimately. As I said, it really is so incredibly annoying, and I am severely unhappy that Steven Dux has decided to go down this route. I am hoping that it changes in the near future. I am sure that Dux is a pretty great man. He certainly comes across that way whenever I have watched a video of him, and I certainly do enjoy his courses. However, he certainly is a marketer and has played Google completely. If you Google Steven Dux review, then you will be linked directly to his website. This is because he has had people review his products so that he can stick them on his site. Obviously, he is only going to let the ‘best’ reviews get through. This means that it is very difficult to find a review online which really does point out the flaws in his program, of which there are some, and I have been talking about them on this page. I am telling you now that the Steven Dux system is amazing. It works. There are a few flaws, but I do think that you are going to get your money’s worth out of it. I do wish that Steven would take down the reviews of his own products that he has on his website. Just let the products speak for themselves, or let other people take the top spot on the search engines when it comes to reviews. His products really do speak for themselves, and there is no real need for there to be any ‘underhanded’ marketing tricks like he is trying to pull off here. This is something that I hear asked a lot. Why should you go for Steven Dux? He learned it all from Timothy Sykes, so surely any course that Sykes offers is more deserving of your cash? Well, I can see where you are coming from there. However, what you must remember is that the world of stock trading is built upon people learning from others. Timothy Sykes did not learn everything on his own. He gained the knowledge from somebody else, and they, in turn gained it from another person. Steven Dux is building upon all of this information. I think Steven is more deserving of your cash simply because he takes what Timothy Sykes did and he has built upon it. In fact, Dux isn’t just sharing the information that he gained from Sykes. He is sharing everything that he has gained over the years from a plethora of different courses. In an ideal world, you would be spending as much money as you possibly could and be buying up as many courses as you could. This would allow you to learn in the same way Dux did. You may even be able to make your own course a few years down the line using all the knowledge that you gained. However, for now, if you can afford just a single course, make sure you make it Dux. I feel he is more than worth the cash that you pay for anything he produces. He is one of the few people out there who has proven success under his belt. He is only really somebody that I would encourage you to follow if you are a newcomer to the world of trading, though. He is also somebody that I would only recommend if you are interested in trading penny stocks. Beyond this, I don’t think that you are going to get much value from the course. Most experienced traders, for instance, will already have information on how to research statistics and keep a database. They do not need somebody else telling them to do it. There is no sense in that. You already know my feeling on stock tips and chat rooms. It is something that I have talked a lot about in my various reviews throughout this website and on this page. My opinion has not changed on that front. For beginners, I don’t think that you are going to be getting anything better than the Steven Dux video course. It is let down by the fact that you can only stream it online, but there is a ton of useful content there which you are going to be able to lean on quite heavily. I highly recommend that you check it out. It is going to make you a far, far better trader. If you were already considering going for Timothy Sykes, why not just go for Steven Dux instead? His program is much the same, but it is expanded. This means that it brings more the table and, ultimately, offers far, far better value for money.